When it comes to your wedding, there are so many aspects to consider and factor in; from the venue, to the theme, décor, who to pick for your bridal team, flowers, your invitations…the list seems endless! However, with great planning, you can get each of these aspects covered to your satisfaction. 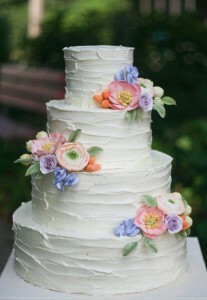 One of the fun part of wedding planning is choosing the wedding cake. Most people absolutely love cake, so when it comes to choosing a great wedding cake, carry along one or 2 of your friends in helping you sample cakes from different bakers before making your final decision. When it comes to cakes, there are quite a number of bakers available who have great cakes on offer. Look out for flavours and designs you like. Don’t be afraid to ask around as well, you might come across someone who is absolutely fantastic through a friend or colleague. Once you have a list on names, find out what other people had to say about them and then you can create your final list of must see bakers. Be sure to call and make an appointment so that you can have their undivided attention. When you get to meet the baker, keep a few things in mind. You would want to know their exact location or where their bakery is, how many wedding cakes they have made and what their speciality is. A great baker will ask in advance what your preference is and make a few samples while have a few different ones for you to sample. This is where a few close friends will help you taste and sample some of the cakes on offer and you can each discuss what you like about each one. Having a small notebook helps so that you can eventually make the final decision. At the end of your sampling spree you might end up tasting so many cakes you might forget who made what! In your notes, have the title of the bakery, the contact person’s name and location and while you sample, write down the type of cake, the taste, sweetness level and other things that stood out. Some cakes can only be made in a particular design so find out whether there are any limitations and see a few photos of cakes the baker made for other clients to give you a better idea of what can and can’t be done. 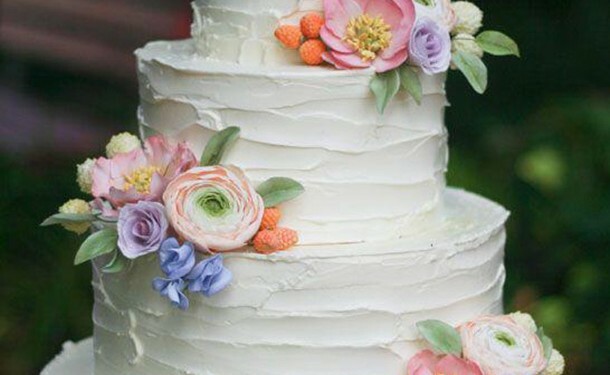 These days the trend is to match the cake to a wedding theme, whether in colour, flower arrangement or you can choose to be creative and come up with a design all your own. It is in vogue to be as creative as you’d like when it comes to the shape, design and flavour of your cake. Be sure to let the baker know though, so that they can advise you on what best works for the best results. Ensure you have a final meeting on the exact details so that nothing is lost in translation, go through everything from the type of cake, the frosting, the shape of the cake, number of tiers and any other bells and whistles you would like added to the cake. If you would like additional cupcakes for the guests, discuss this as well, including packaging and design so that everything is clear and final. Once all this is done, make the booking in advance to give the baker sufficient time to source for materials and make the cake in good time. 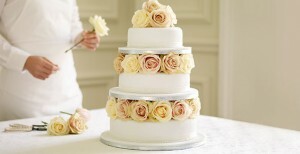 Last minute rushing is one reason for cakes to turn out badly so avoid this mistake when booking your wedding cake. Follow these tips to make sure you pick the best wedding cake for your wedding.